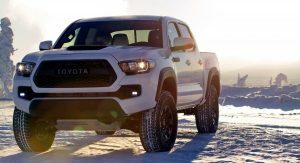 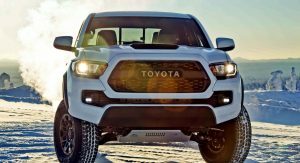 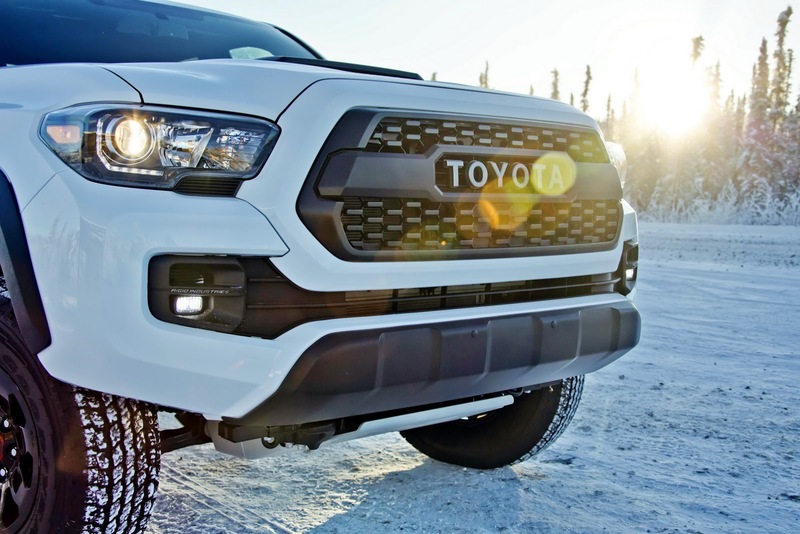 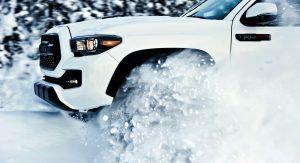 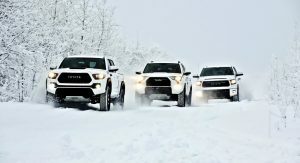 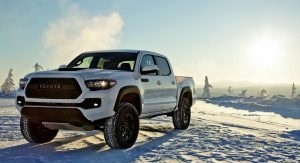 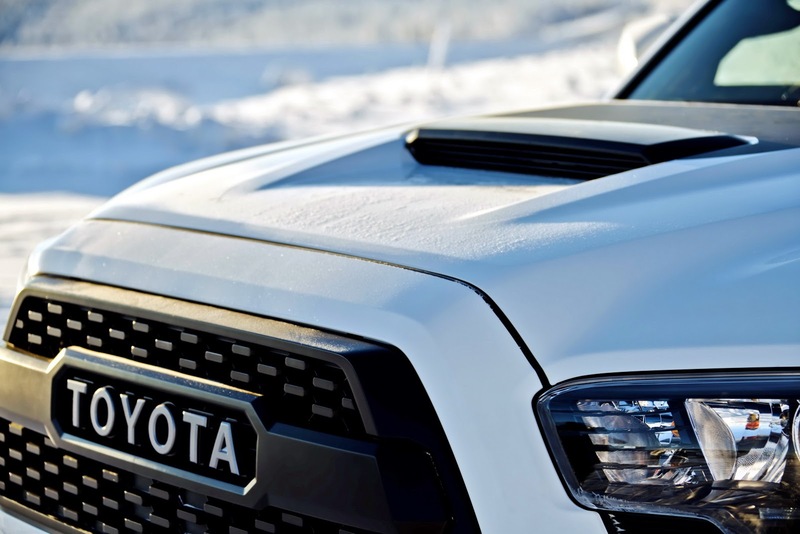 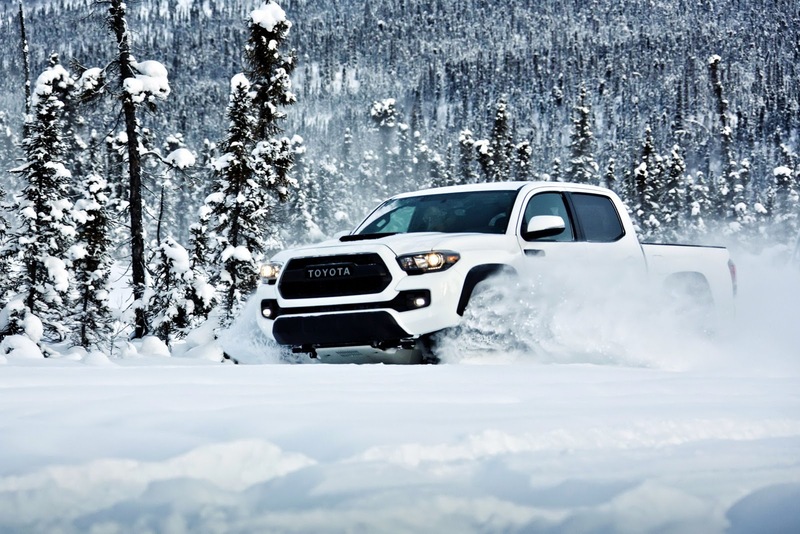 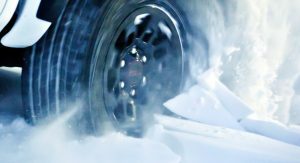 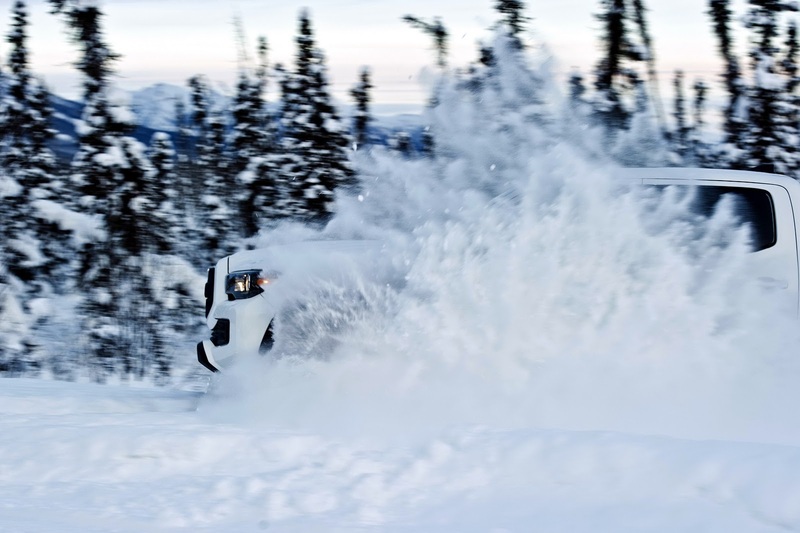 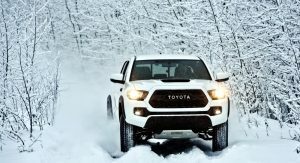 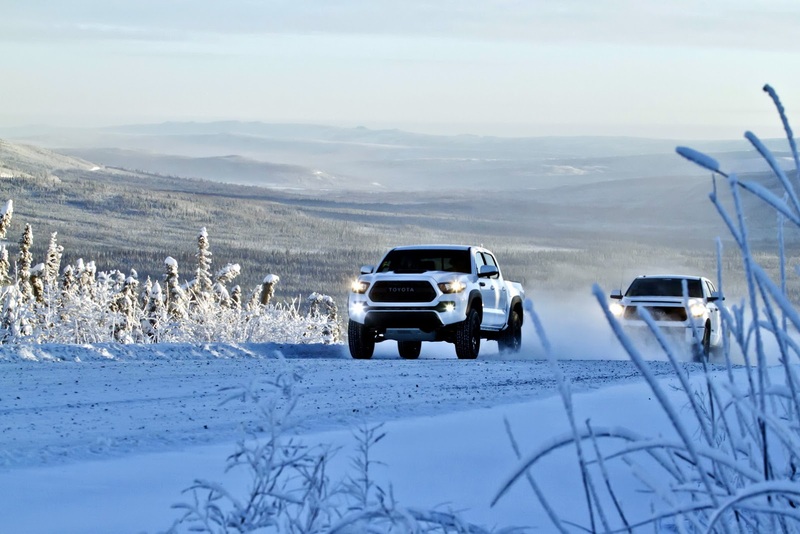 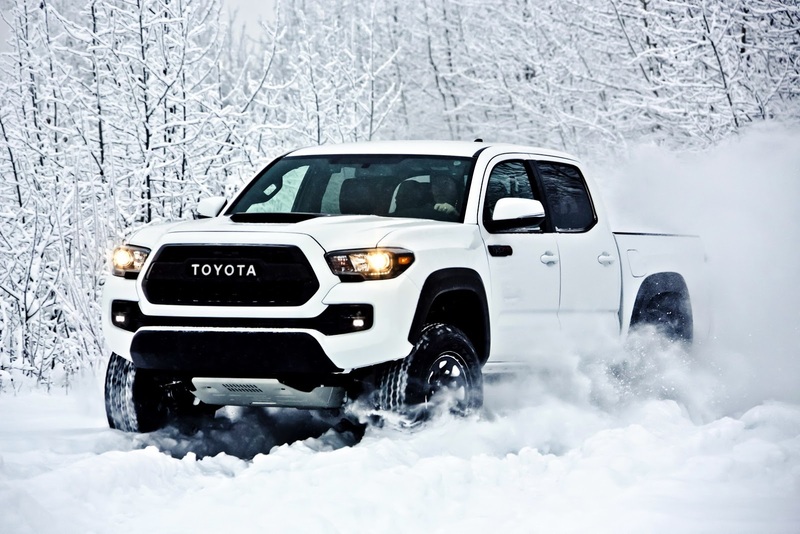 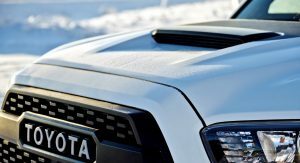 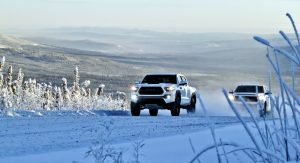 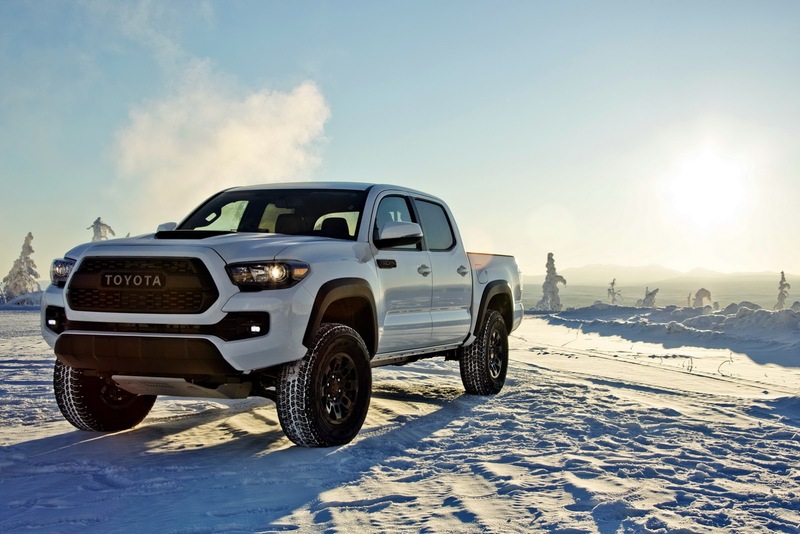 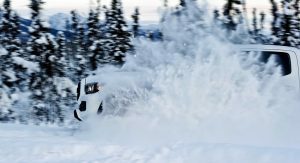 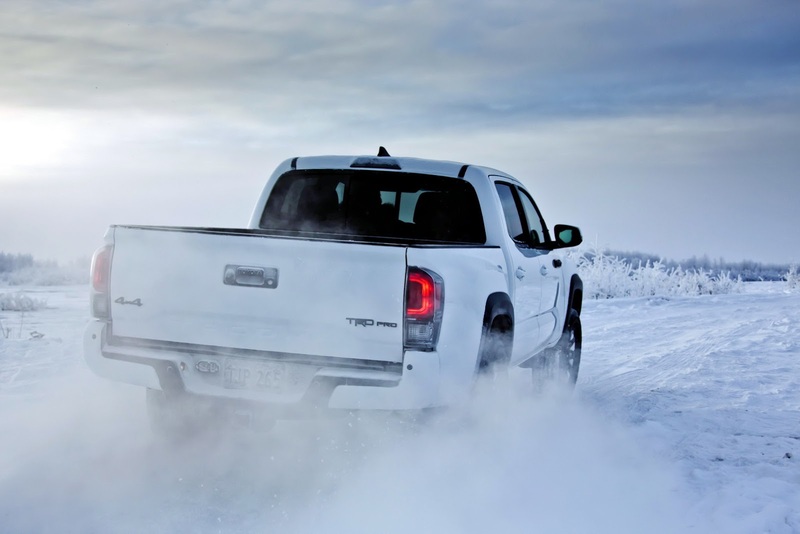 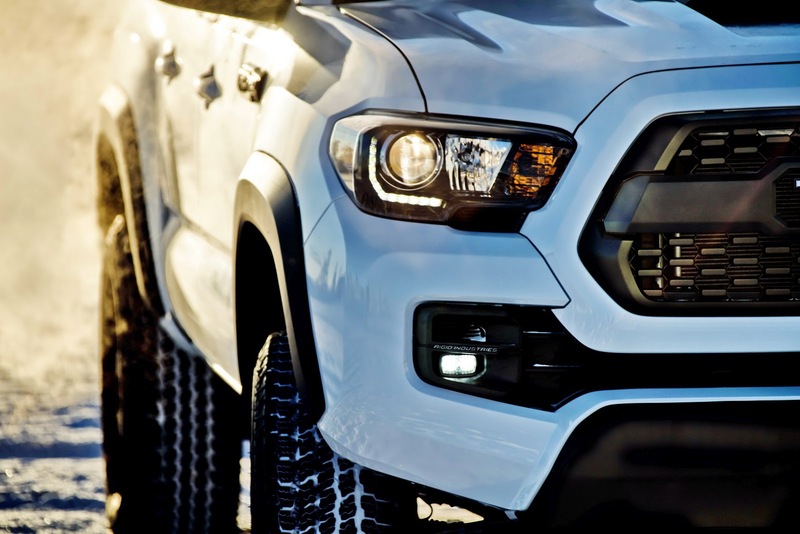 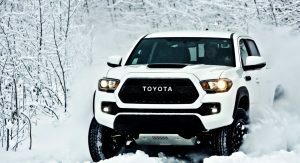 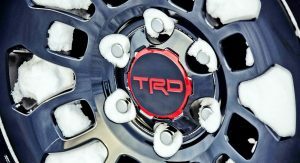 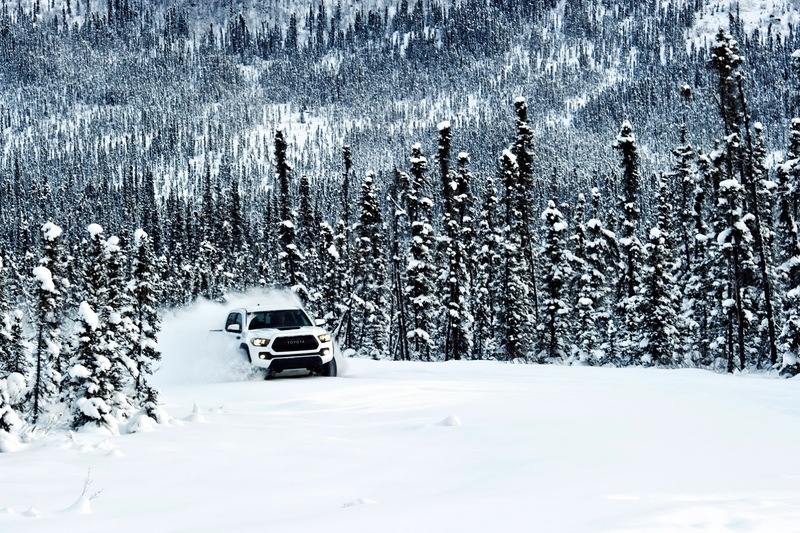 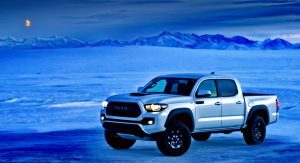 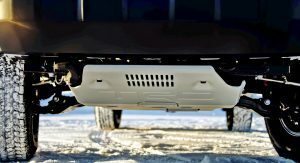 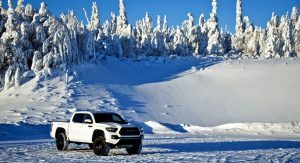 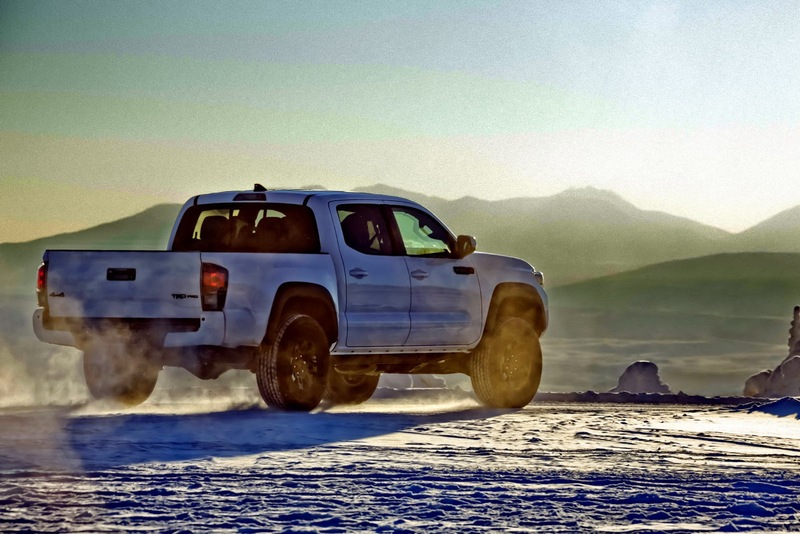 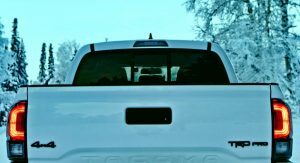 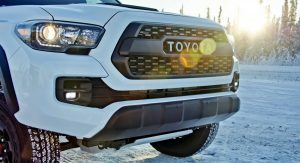 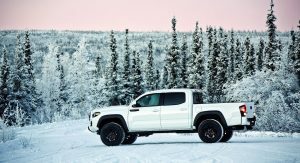 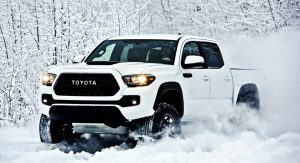 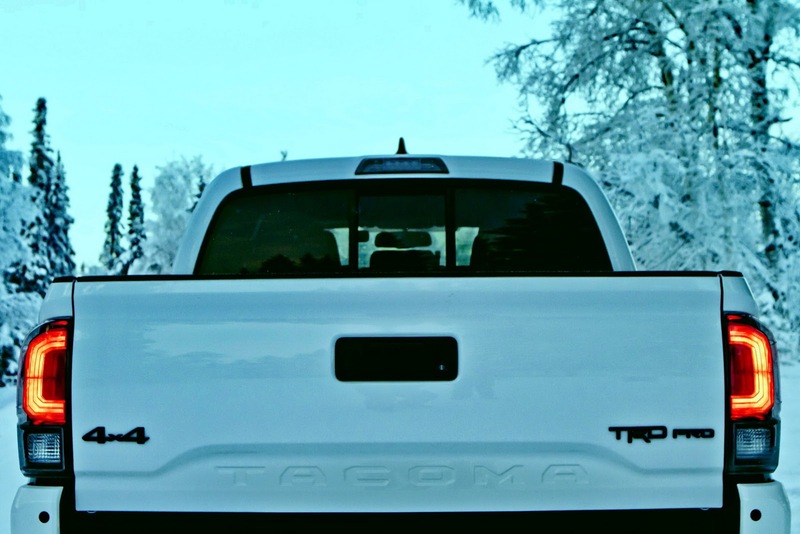 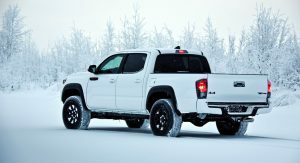 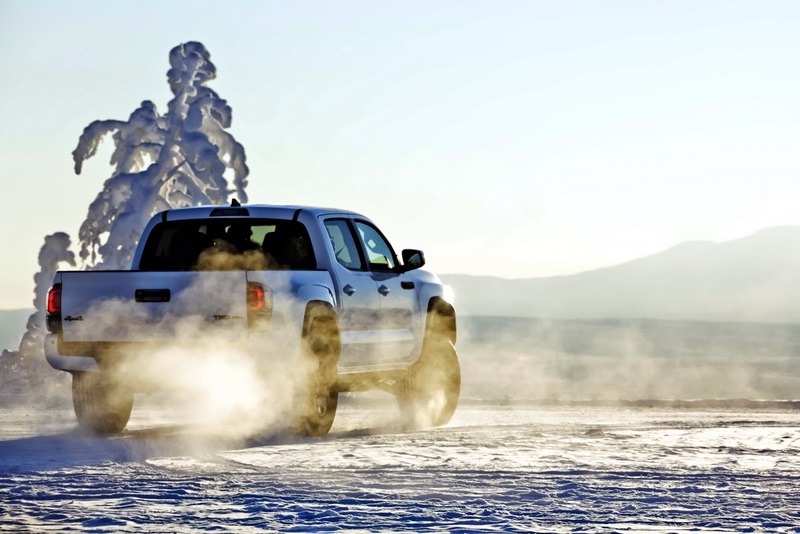 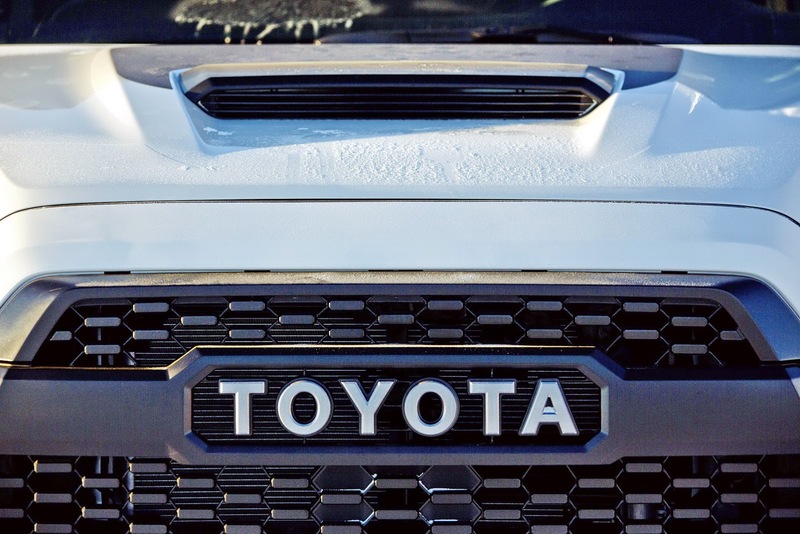 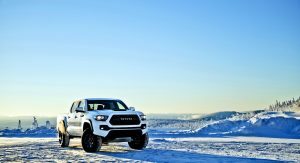 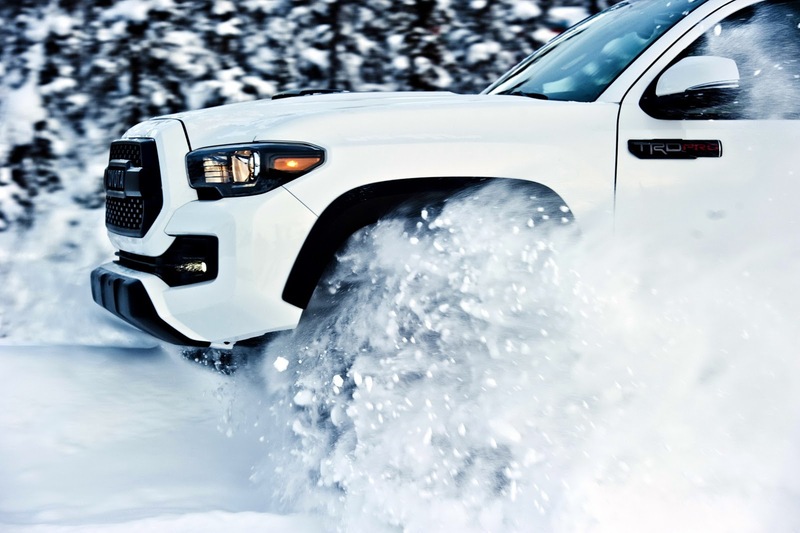 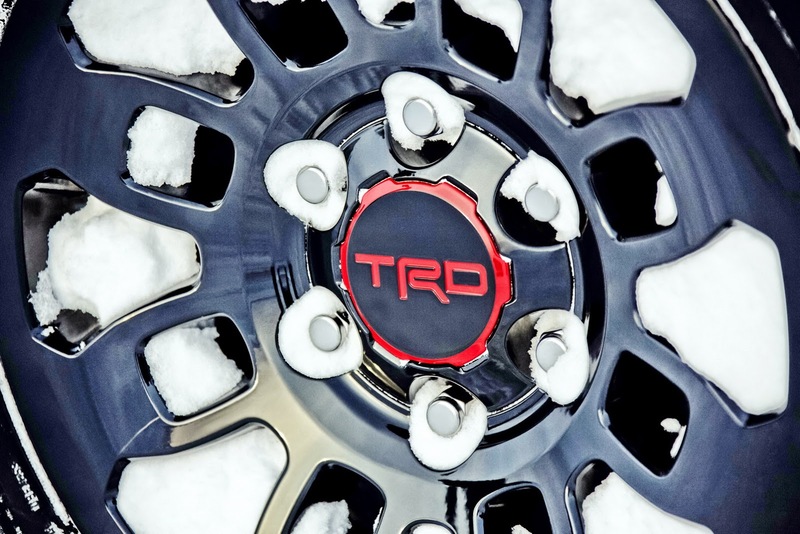 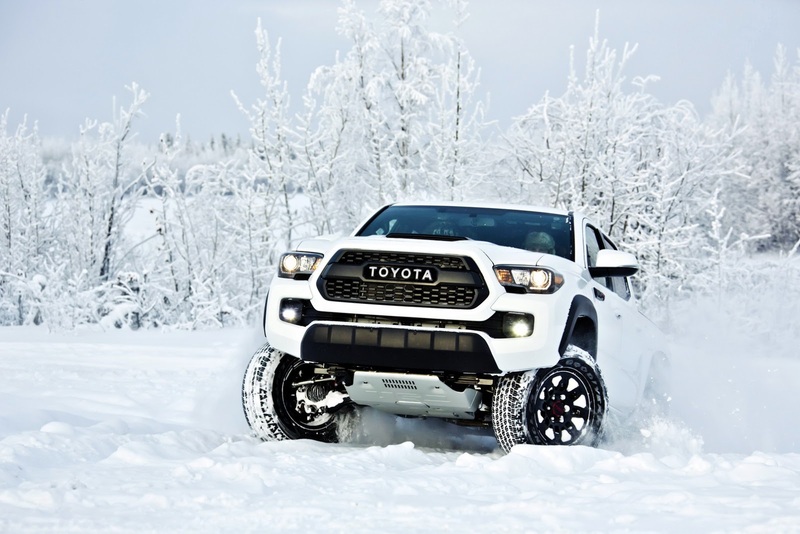 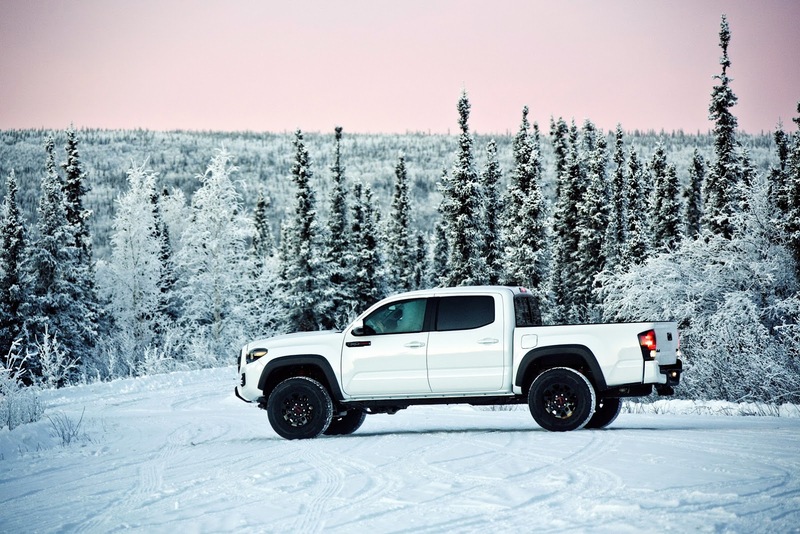 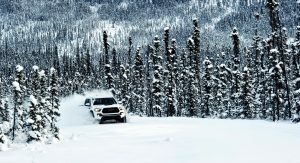 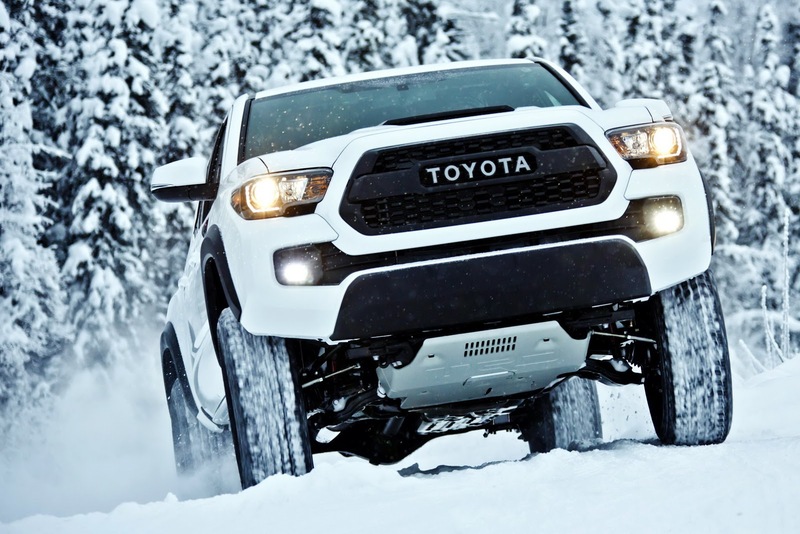 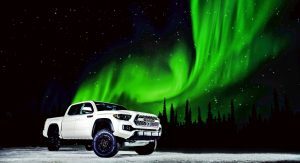 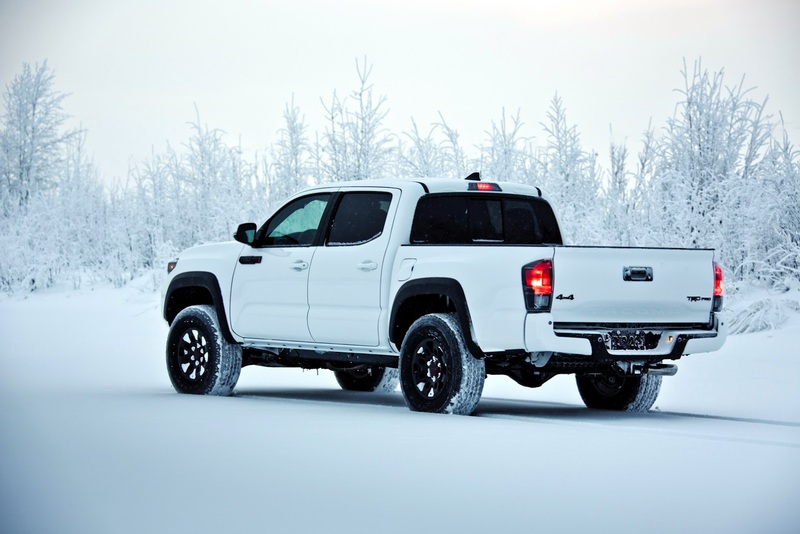 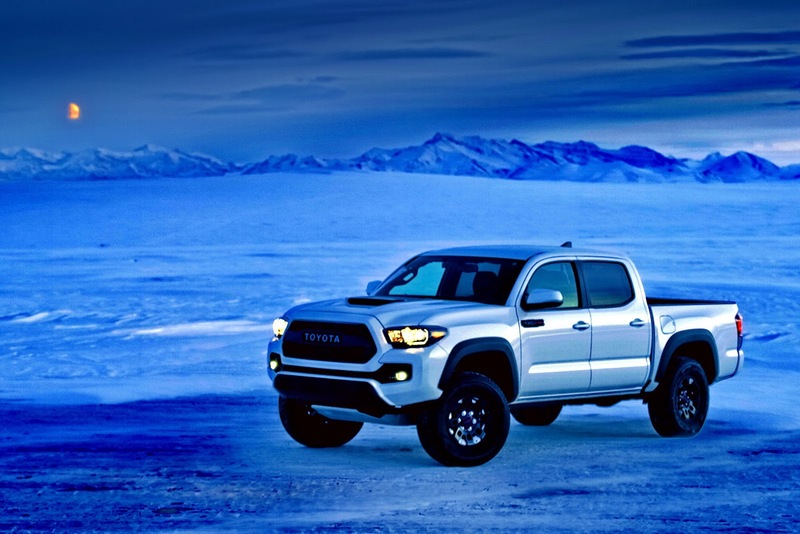 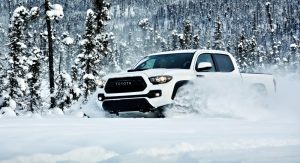 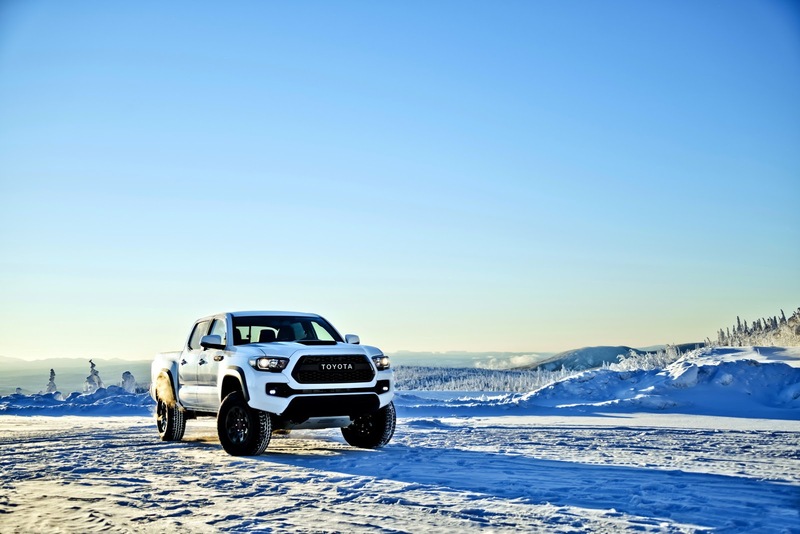 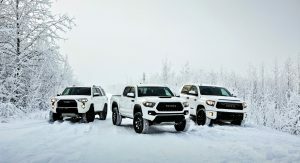 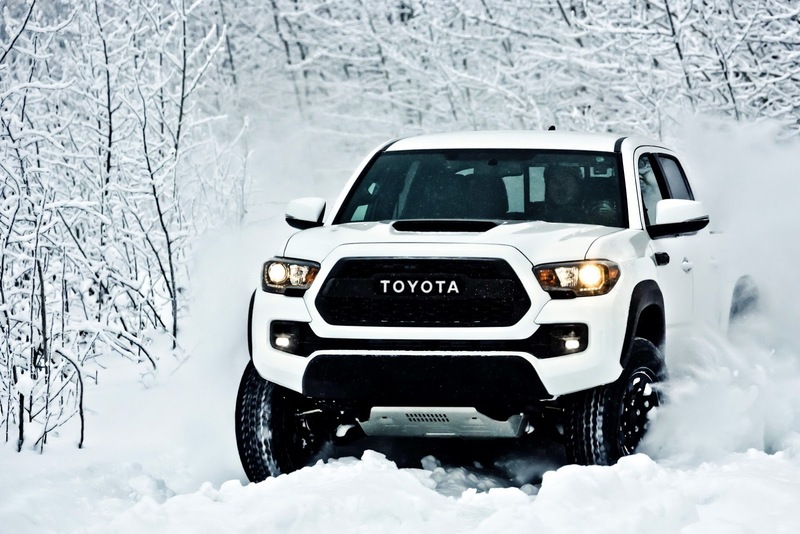 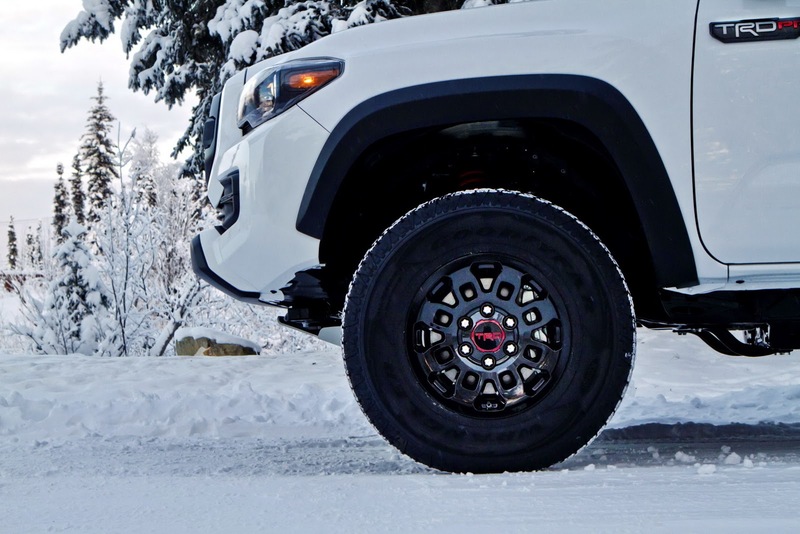 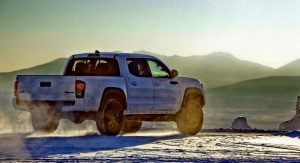 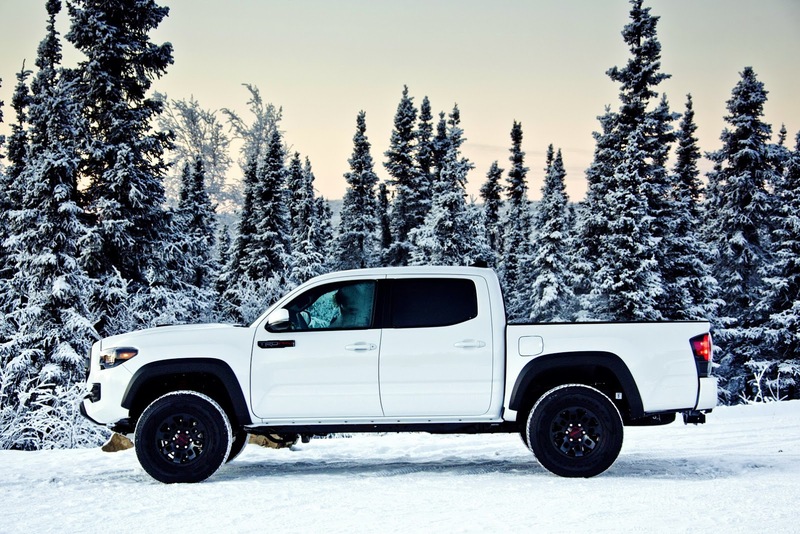 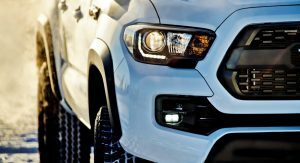 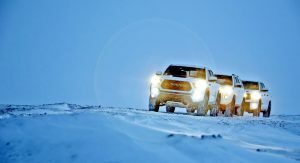 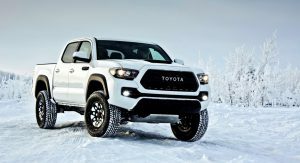 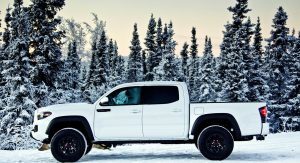 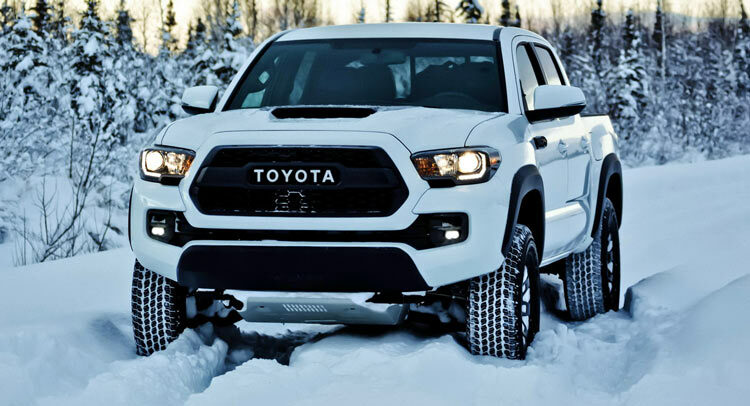 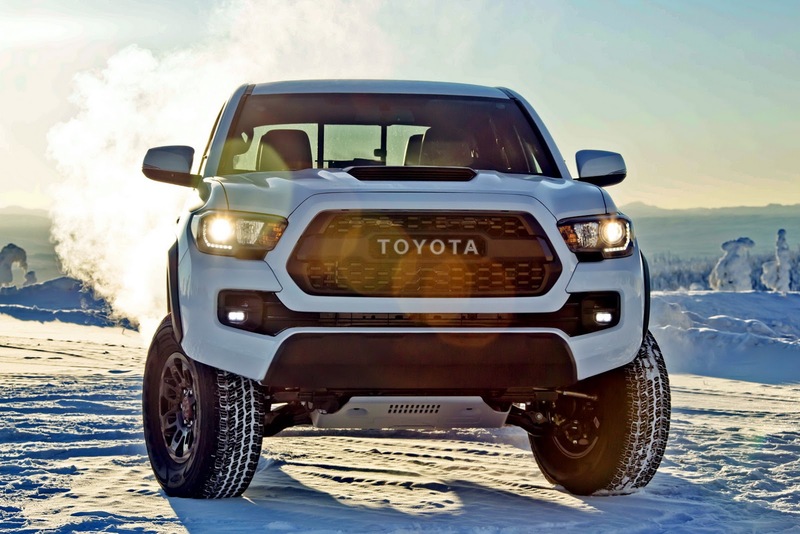 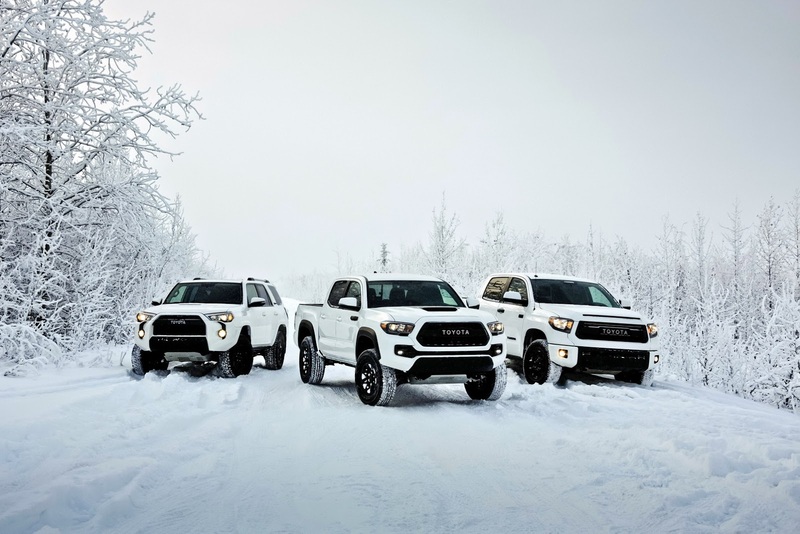 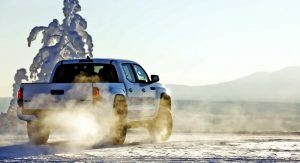 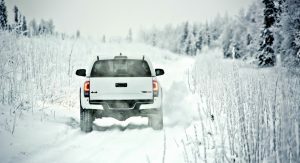 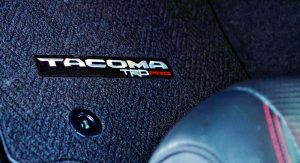 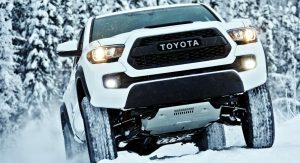 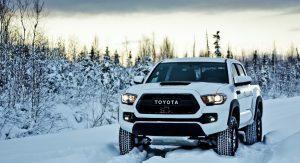 Aggressively designed pickup trucks with increased off-road capabilities seem to be the new fad nowadays, but unlike Ford’s F-150 Raptor, Toyota’s new Tacoma TRD Pro doesn’t add any improvements under the hood. 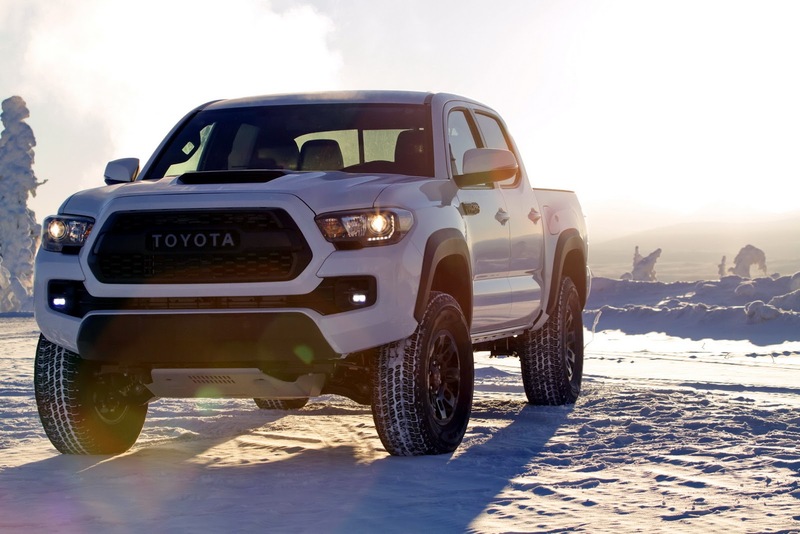 Presented in a world premiere at the Chicago Auto Show today, the 2017 Toyota Tacoma TRD Pro sticks with the same 278hp 3.5-Liter V6 powering the other models in the range (in comparison, Ford’s upcoming Raptor will get a 3.5L twin-turbo V6 with more power than the current 411hp 6.2L V8), with only an exhaust system enhancement. 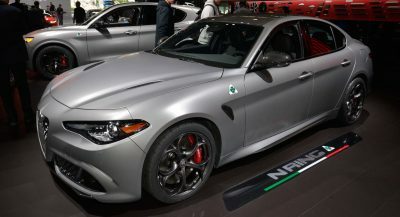 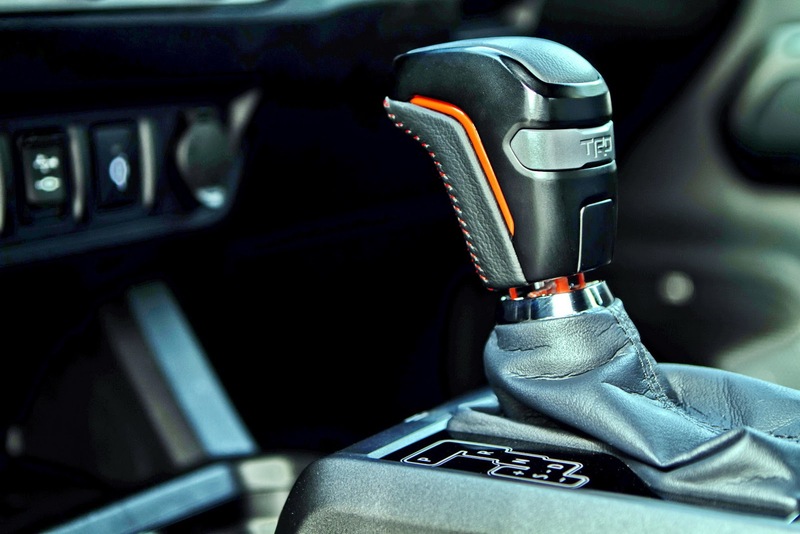 The V6 can be paired to either a 6-speed manual (with clutch start-cancel switch) or a 6-speed automatic transmission. 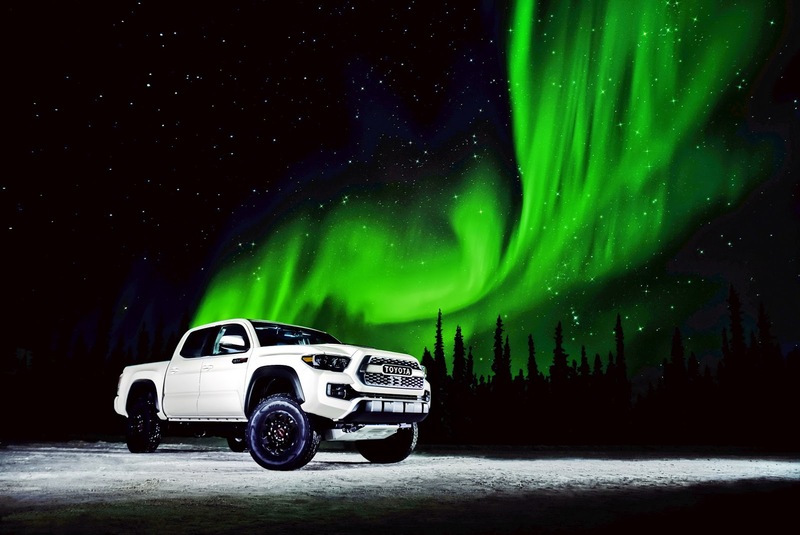 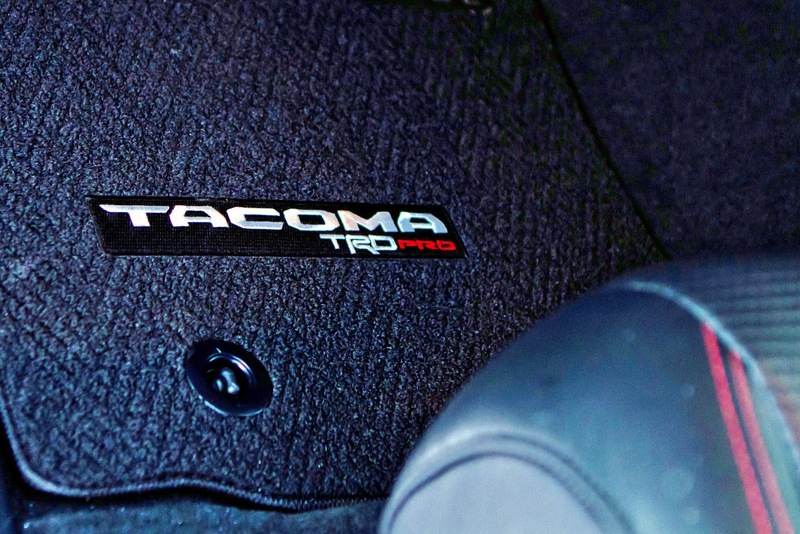 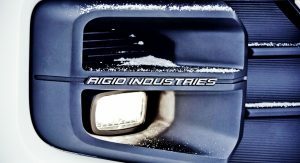 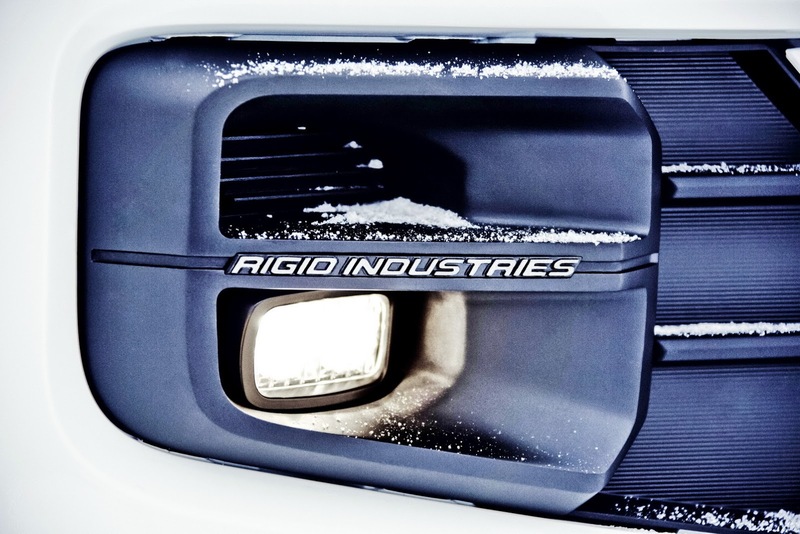 Where the Pro really shines in the Tacoma lineup is in the cosmetic and suspension departments. 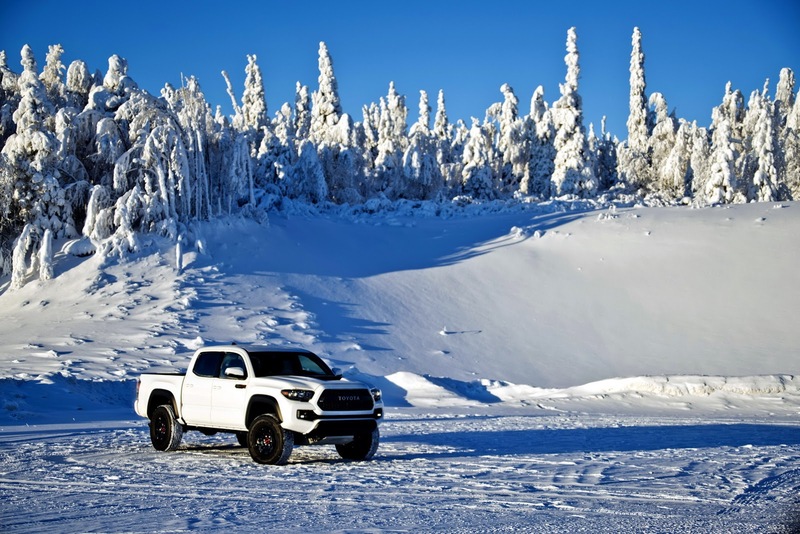 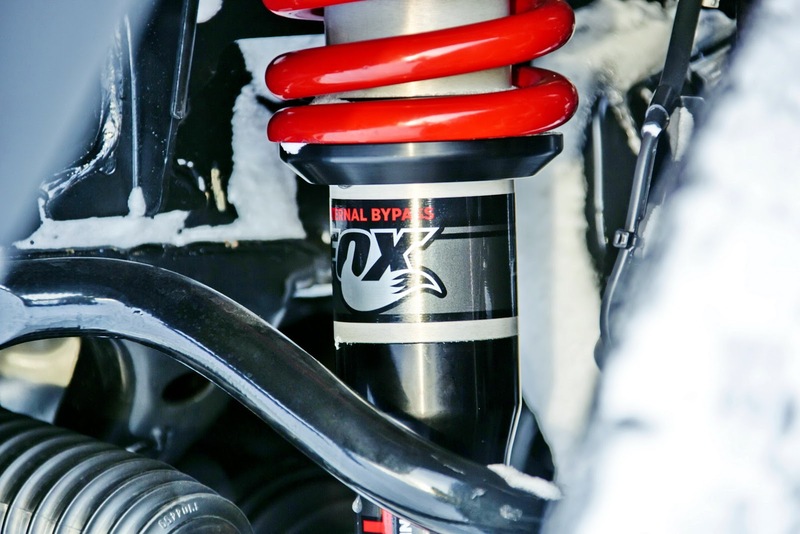 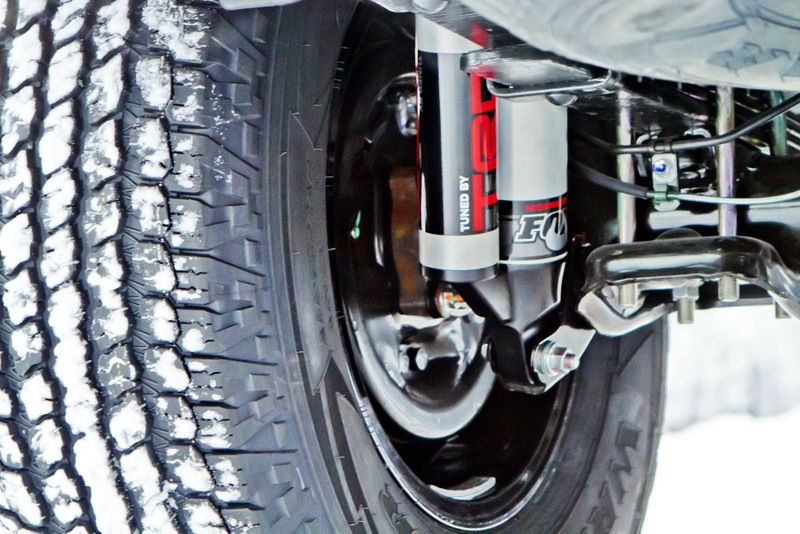 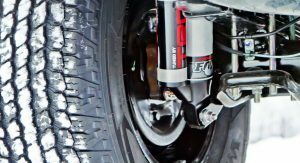 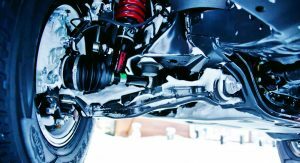 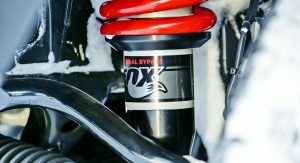 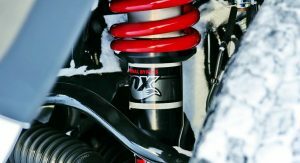 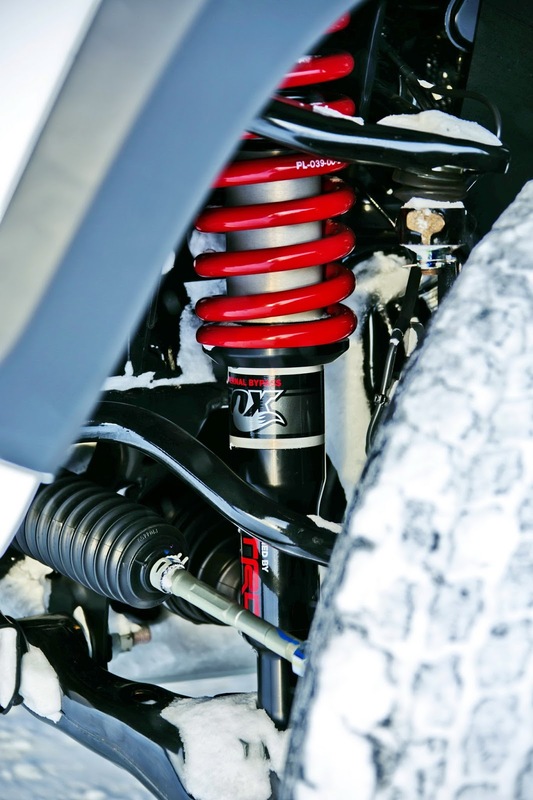 Based on the Tacoma TRD Off-Road 4×4 Double Cab Short Bed, the Pro rides on new FOX 2.5 Internal Bypass shocks and TRD springs on the front with a 1-inch lift, and a TRD-tuned suspension with progressive-rate off-road leaf spring on the rear. 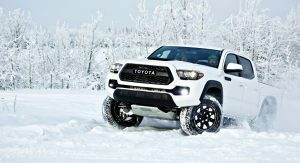 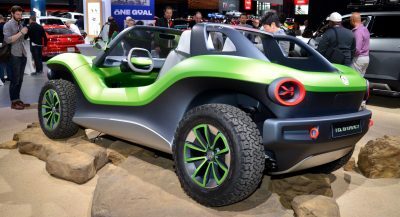 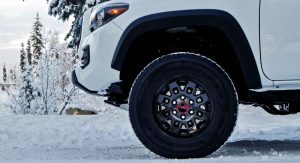 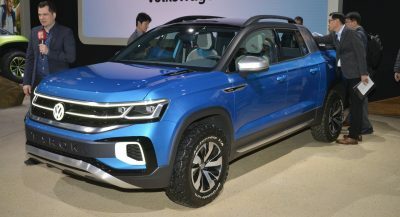 On the outside, it wears a tougher looking suite with 16-inch TRD black alloy wheels on Goodyear Wrangler All-Terrain Kevlar-reinforced tires, an aluminum skid plate on the front, LED fog lights and DRLs, and a classic Toyota emblem on the blacked out grille. 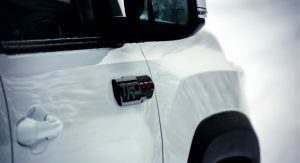 Elsewhere, it gets color-keyed power outside mirrors with turn signal indicators and door handles, plus black fender moldings and hood scoop trimmings. 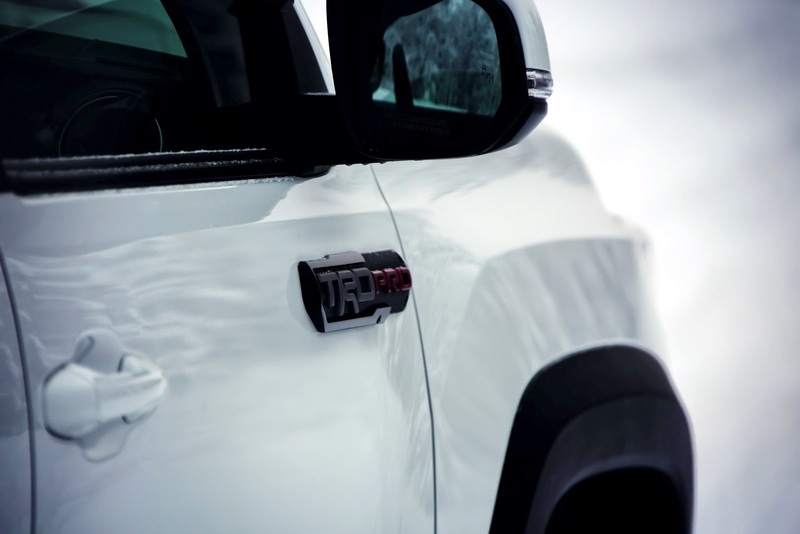 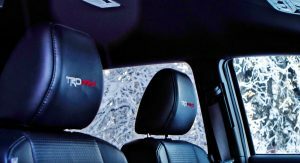 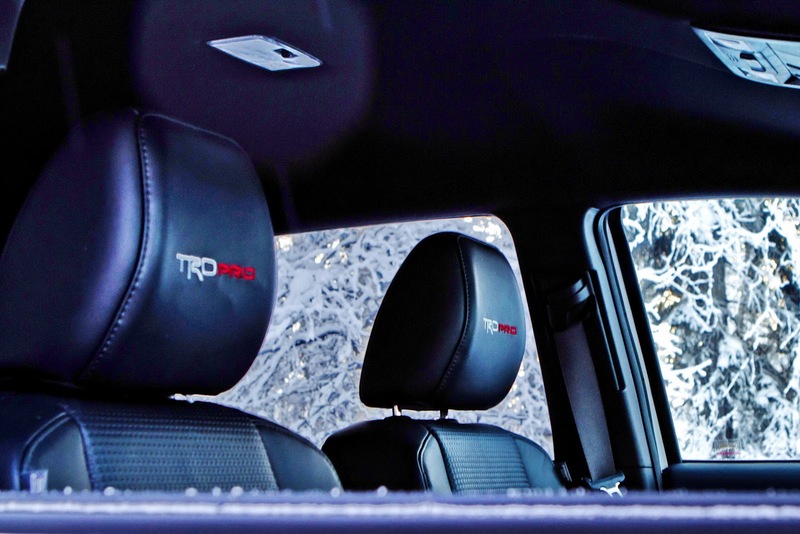 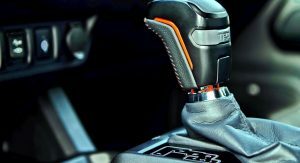 Inside, Toyota upgraded the TRD Pro model with leather-trimmed seats featuring the edition’s logo on the headrests, and TRD-branded shift knob and floor mats, while standard features include navigation, rear parking assist, Blind Spot Monitor (BSM) and Rear Cross-Traffic Alert. 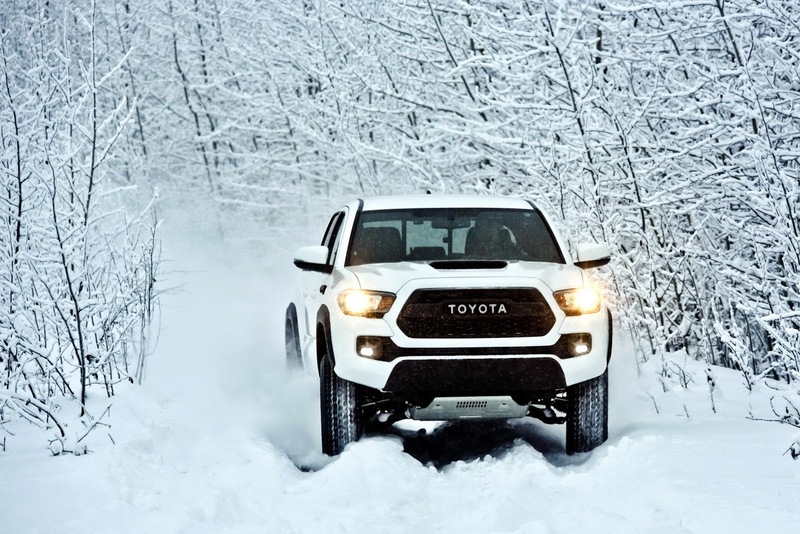 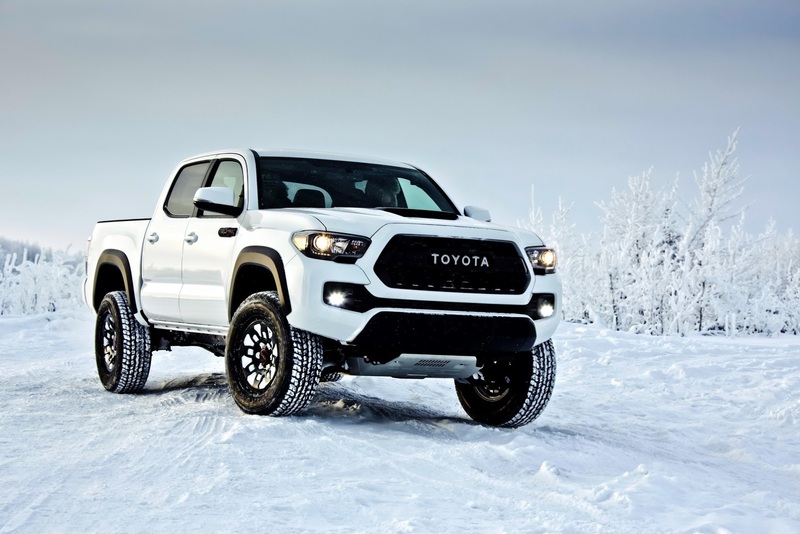 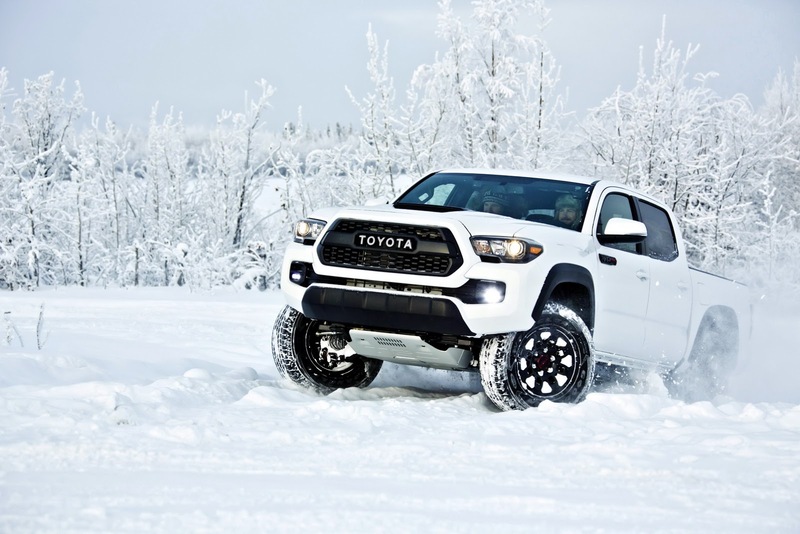 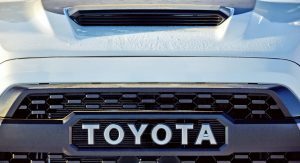 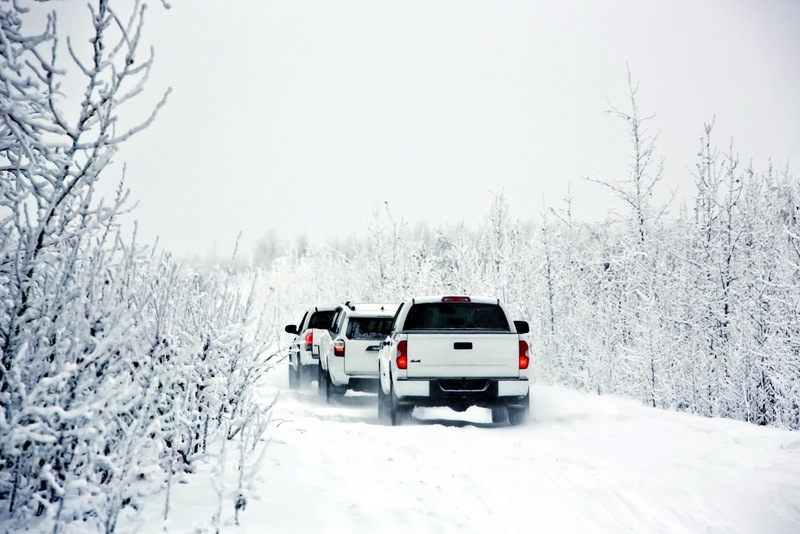 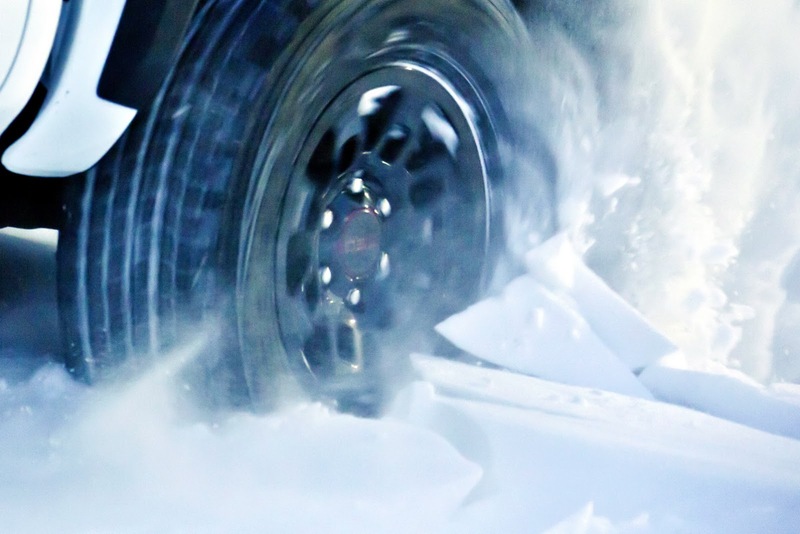 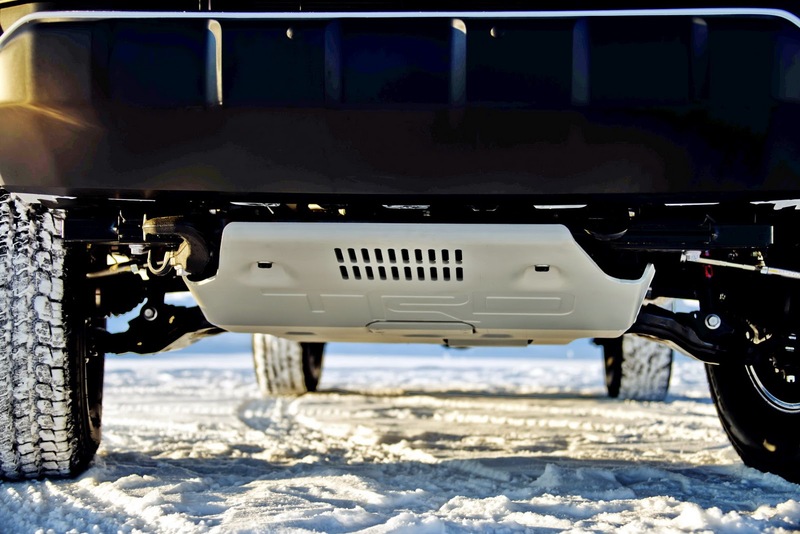 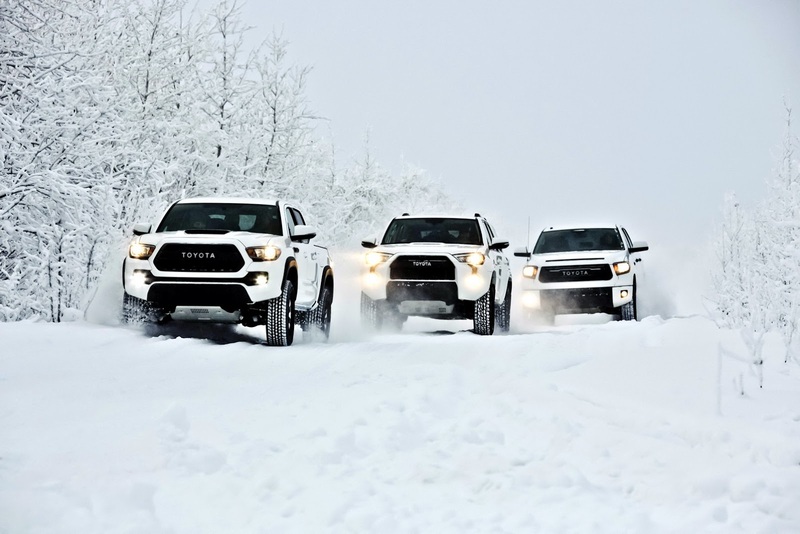 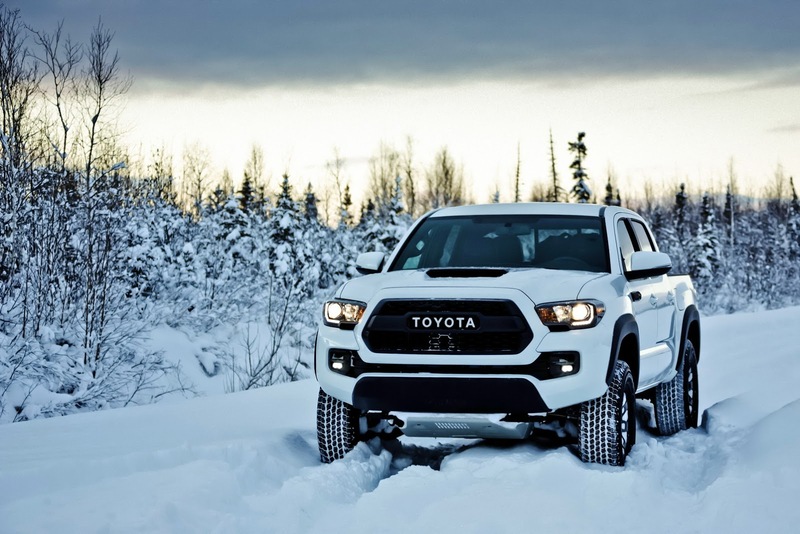 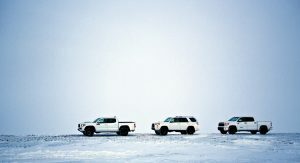 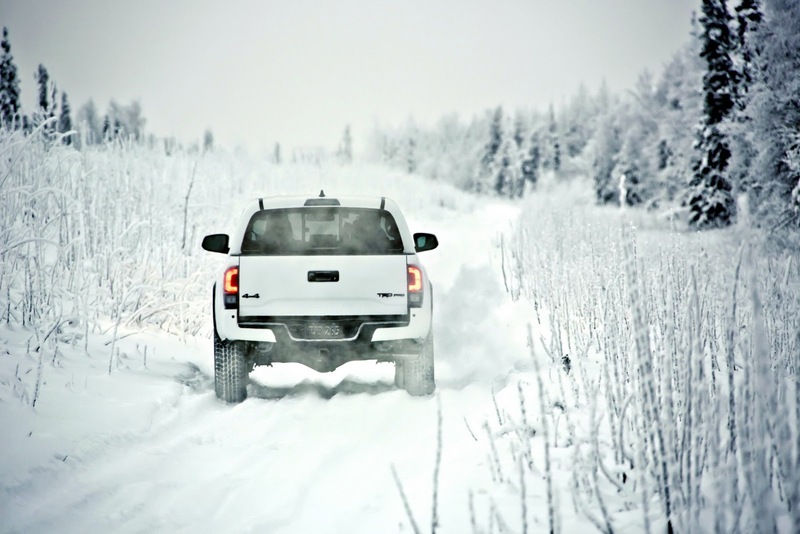 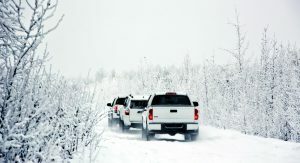 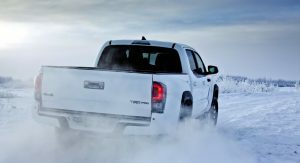 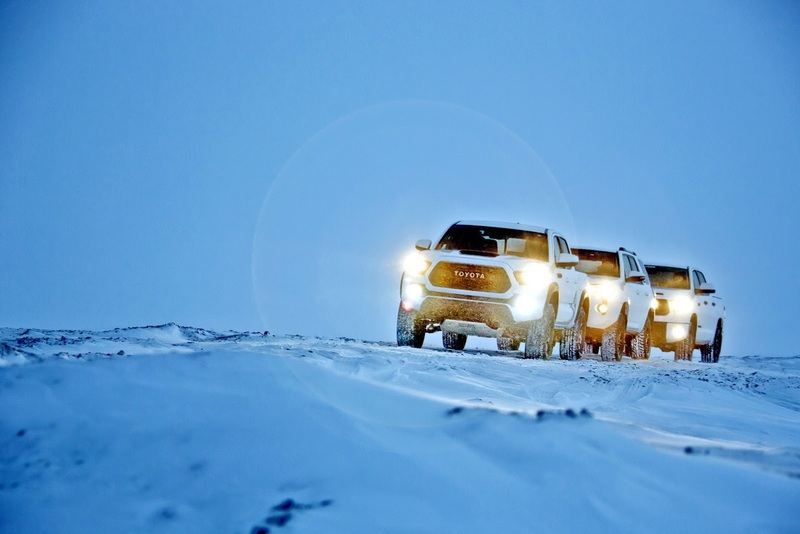 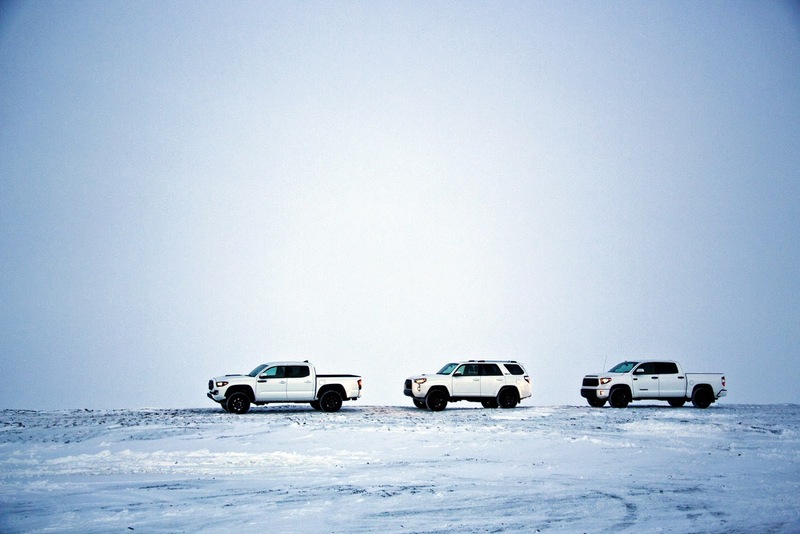 Toyota said it will release pricing when the truck hits US dealers in the fall this year.